Valentine’s Day is just around the corner and the usual plethora of flowers, candy and hastily made dinner reservations won’t suffice. Spoil yourself and your sweetheart with a romantic weekend getaway this Valentine’s Day instead. Whether you choose a staycation in the city, a Whistler mini-break or a Vancouver Island retreat; we’ve found fantastic offers at some of TripAdvisor’s Traveller’s Choice Top 25 Best Hotels for Romance in Canada, which will be sure to reignite the flame between you and your Valentine. Vancouver’s incomparable mountain and ocean views are the ideal backdrop to any romantic movie or novel. With nature as its playground, Vancouver offers an abundance of activities and locations that set the scene for your own personal love story. OPUS Hotel is located in Vancouver’s popular Yaletown, an area known for its cluster of fabulous restaurants, well-dressed residents and trendy nightlife. OPUS is offering an ‘Exclusively Yours’ Valentine’s Day package that is sure to impress your stylish beau. Fresh flowers and love notes are just a hint of what to expect from your OPUS Hotel cupid. 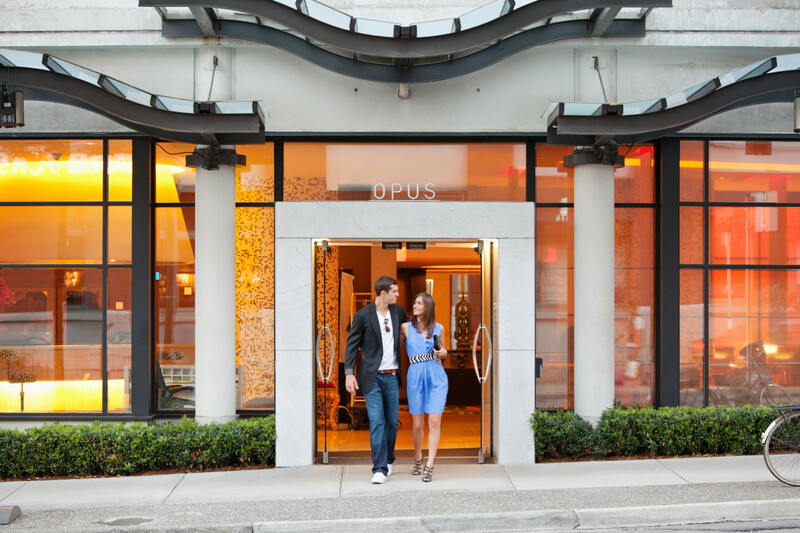 OPUS hotel is situated close to the picturesque False Creek waterfront. Take advantage of OPUS Hotel’s complimentary bike rental and spend an afternoon exploring the False Creek waterfront by riding along the Vancouver seawall with your partner. Play tourist for a day and show each other places in the city you’ve never been before. Bike back over to OPUS Hotel’s new bar and cozy up by the fireplace and enjoy some pre-dinner cocktails. Don’t worry about over-indulging, as your dining location for the evening at La Pentola is only an elevator ride away from your room. Step inside La Pentola and be whisked away to Northern Italy with your date. Tantalize your taste buds with a special menu for Valentine’s Day and set the amorous ambience for the evening. Sail away and feel the sea breeze on your face – sit with your love on the deck of the ferry and watch as the beautiful scenery passes by as you make your way to Vancouver Island. Victoria was recently named the most romantic city in Canada by Amazon.ca and one of North America’s top three destinations for romance by USA Today. Victoria’s most charming boutique hotel, Magnolia Hotel & Spa makes planning a romantic getaway simple with four different packages including the Romance Concierge. This package comprises of a continental breakfast for two and $100 credit to use towards personalizing your stay with flowers, chocolates, or wine. 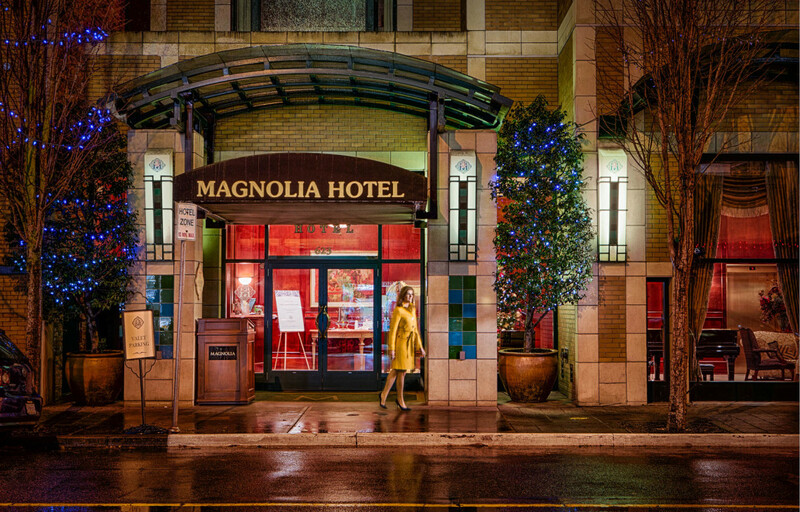 Steps from the Inner Harbour and moments from downtown Victoria, Magnolia Hotel & Spa offers the best of quiet island life and activities enjoyed by urbanites. Show your Valentine that chivalry is not dead when you help her into a horse-drawn carriage. Ride through Victoria and experience all the highlights of the waterfront city. Wander through the remarkable Butchart Gardens and snap photos of your time together in this stunning setting. If you both share a love of history, check out some of the city’s most memorable landmarks and create new memories together. Unwind after a day of exploring with a traditional candlelit dinner date at Catalano Restaurant + Cichetti Bar, and enjoy some cocktails with your Valentine. The Wickaninnish Inn offers direct access to Chesterman Beach and panoramic ocean or beach views from every guest room. When you’re not gazing into each other’s eyes you can enjoy the dramatic scenery. Embrace this serene setting and spend the weekend rekindling your romance at the seaside. Spend quality time together learning to surf, cuddling up storm watching, or just walking hand in hand for miles along a virtually empty beach. Warm up after your outdoor activities with a latté in the Wickaninnish Inn and get changed to head into town for a romantic dinner at Wolf in the Fog, named Canada’s Best New Restaurant by enRoute Magazine. Wolf in the Fog is celebrating Valentine’s Day with freshly shucked oysters and three new seasonal share plates. Chef Nick Nutting will be preparing three platters that are perfect for sharing with your Valentine: a vegetarian, seafood, and a meat dish based on the freshest ingredients of the day. 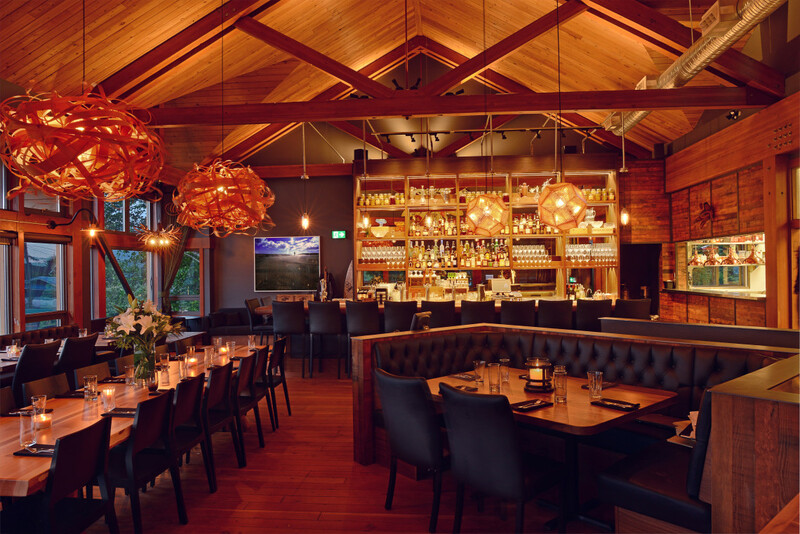 Dine and delight in the company of your love and the surroundings of beautiful Tofino. Strolling through the village, while the snow falls gently around you and your loved one, is a magical experience all of its own. Cozying up together by a fire after a day of playing in a winter wonderland is reason enough to spend Valentine’s Day weekend in Whistler. Nita Lake Lodge is the ideal romantic backdrop to make your sweetheart swoon this Valentine’s Day. Complete with lakeside views, culinary indulgences and relaxing spa treatments; Whistler’s most stunning hotel has all the details to delight your loved one. Spoil your Valentine with a day at the spa: relax into your romantic weekend with a couple’s Swedish massage and a glass of champagne, or soak under the stars in one of the roof top hot tubs, then unwind together in the eucalyptus steam room or in the peaceful lounge. 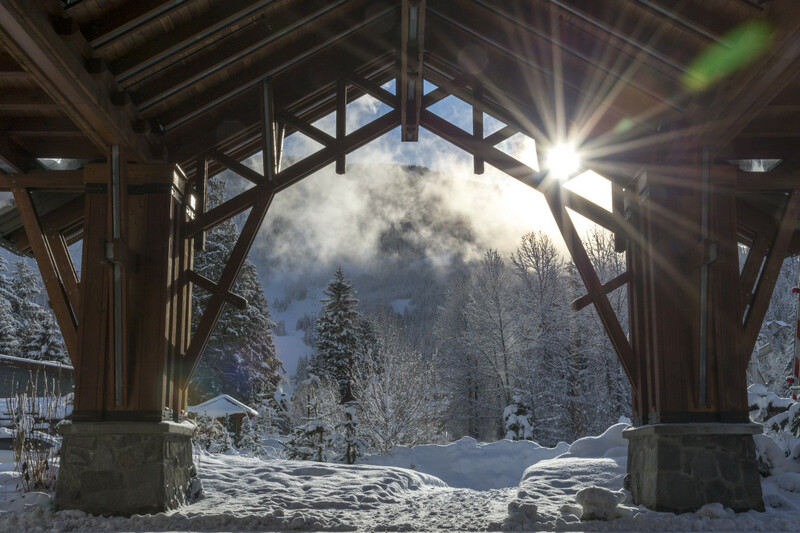 If being pampered isn’t your idea of romance, head up Whistler Blackcomb to indulge in a day of fresh powder or a snowshoe trek for two. Head back to your home-away-from-home at Nita Lake Lodge and prepare yourselves for a delicious dinner at Aura Restaurant. Nita Lake Lodge’s Aura Restaurant has crafted a delectable four-course menu for Valentine’s Day. Experience the lake view over a candlelit dinner for two, while embracing the quality time you get to spend with your significant other.